Less carryovers than I seem to remember having. I said five last time but I only have three. Maybe I was counting Fate/Zero and Sket Dance, too? Anyway, I had to wait on Mirai Nikki to end, which was taking its sweet time. Let’s do this. Naruto SD: Rock Lee no Seishun Full-Power Ninden – Admittedly I’m only going to watch this for Rock Lee. I have zero interest in Naruto otherwise. Fushigi no Umi no Nadia Digital Remaster – I’ve always been curious about this series, so I’ll pick it up. Upotte!! – Moé anthropomorphized guns. Don’t need to explain myself here. Tasogare Otome x Amnesia – I almost picked up the manga for this once, so I guess I’ll do the next best thing and pick up the anime. Hyouka – I don’t even know (or care) what this is about, but it’s KyoAni’s new series so it’s a given. Fate/Zero – Obviously. Second half is going to blow the first half out of the water. Kore wa Zombie desu ka? OF THE DEAD – Loved the first season, so I’m ready for this. Sankarea – Zombie romantic comedy. I need no words. Haiyore! Nyaruko-san – Finally, a full-fledged TV series. I can’t wait. Medaka Box – NisiOisin animu, do want. Nazo no Kanojo X – Another one I almost picked the manga up for. Saki: Achiga-hen – Episode of Side-A – Saki is my 3rd favorite anime ever. Guess why I’m watching this. – Fate/Zero Extra – If this is that thing with Iri in the classroom, it looks funny. – High School DxD – I’ve really enjoyed the series. A lot more than I thought I would. – Ura Mirai Nikki – Did the first one come out? I never saw it. – Amagami SS+ plus – Maybe. The series has kinda sucked. – Thermae Romae – This is another thing I liked a lot more than I thought I would. – C3 – Wow, that’s a good thing. Had no idea this would be coming out. – Seitokai Yakuindomo – Oh hell yeeeeeeeees. – Kore wa Zombie desu ka? – More is better. Usually. – Strike Witches movie – But only once a good rip comes out. No one cares because no one reads this, but I’ll be out of town next week and I’ll miss a few season enders, so it’ll be a while before I get around to my season wrap-up. I say anywhere from 1.5 to 2 weeks minimum. 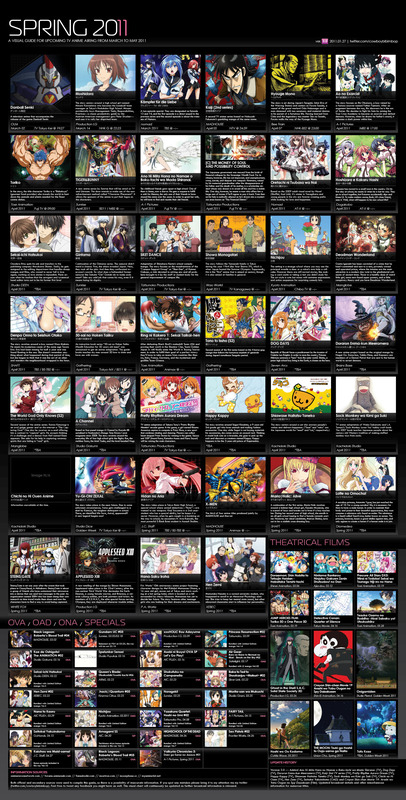 Tags:amagami ss, anime, c3 -cube x cursed x curious-, fate/zero, haiyore! 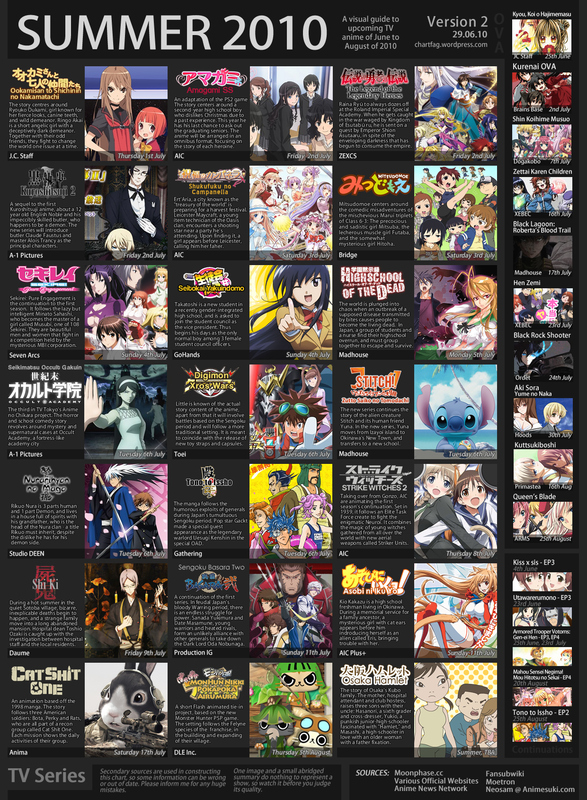 nyaruko-san, high school dxd, hyouka, kore wa zombie desu ka?, medaka box, mirai nikki, nadia, naruto, nazo no kanojo x, saki, sankarea, seitokai yakuindomo, spring 2012, strike witches, tasogare otome x amnesia, thermae romae, upotte!! Apparently I completely forgot to do this last season. Weird. Well I’ve already done my final impression on most of those shows, so I won’t be bothering to go back. We’ll just move forward with this season. I apologize for the delay. 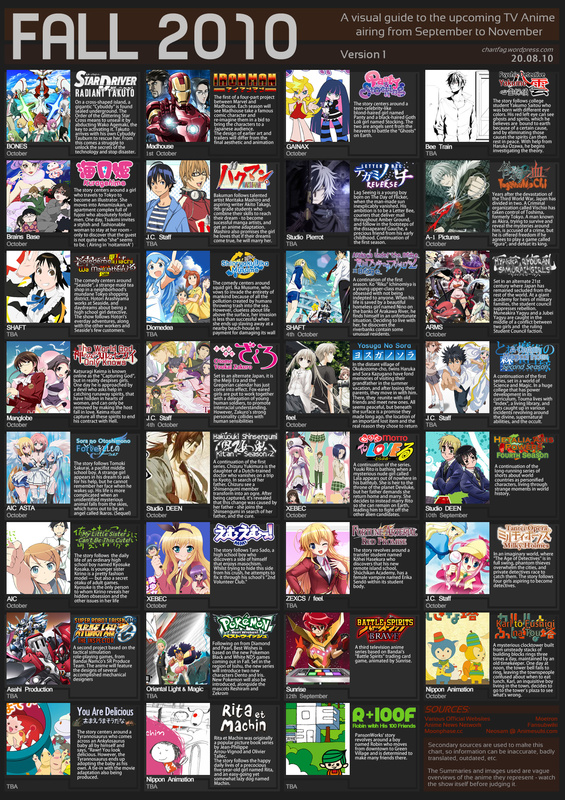 I had a lot of pick-ups I didn’t plan for and there have been some weird delays in a lot of the shows I’m watching. Tantei Opera Milky Holmes 2 – I passed up the first season initially, but it was pretty enjoyable when I gave it a shot. Can’t wait for some Mori this season. Recorder to Randoseru – Legal loli, 4koma, etc. Too many things for me to ignore. Another – I hope this one is good, because I really want it to be. Black Rock Shooter – Doko e itta no? Amagami SS+ plus – Not sure how I feel about this really getting a second season, but if it’s half as good as the first then I’m still in for a great ride. Kill Me Baby – 4koma comedy. I obviously don’t get enough of this in my animu diet. Mouretsu Pirates – Based on a novel series called, literally, “Mini-Skirt Pirates.” Curiosity got the better of me on this one. I just have to see how it is. Papa no Iu Koto wo Kikinasai! – I don’t really have a reason for this one. Just ’cause. Seriously. I can’t think of any reason why I’d watch this show, but I want to anyway. Nisemonogatari – Hell yeah, more Bakemonogatari goodness. – Usagi Drop – Still watching these. – Ikoku Meiro no Croisée: Yune & Alice – I honestly forgot about these. Need to get on ’em. – Toradora – My levels of hype are immesurable. Bold just ’cause. – Hidan no Aria – Why not? I rather liked the show. – Carnival Phantasm 3rd Season – This has been phenomenal. Everyone who likes Type-Moon needs to see it. – Higurashi Kira – Episode 3 subs where? – Denpa Onna to Seishun Otoko – Only slightly less hype than the Toradora OVA. – Ura Mirai Nikki – Maybe. Depends on how much I care to follow up on it. I said I was gonna watch the Infinite Stratos OVA and ended up not giving two craps. – Steins;Gate – About as much hype as Denpa Onna. – K-ON! movie – No cam rips for me. Only watching when a good home release rip is out. – .hack//The Movie – Again, not watching until a good home release rip is out. I feel like I get lazier with these every time. Oh well. May follow up with a post about what I scored in Right Stuf’s holiday sale after it’s over. We’ll see. Delays on Arakawa subs held this back for about half a week longer than the shows I watched ended (Zakuro ended on Monday), but now I’m done with the Fall season. As usual, I’ll post my final impressions of the shows I watched, as well as shows from other seasons that ended this season, and I’ll declare my show of the season. However, since this is the last season of 2010, I’ll also pick my show of the year. Updated Summer chart, courtesy of Chartfag. Now that Asobi ni Iku Yo! 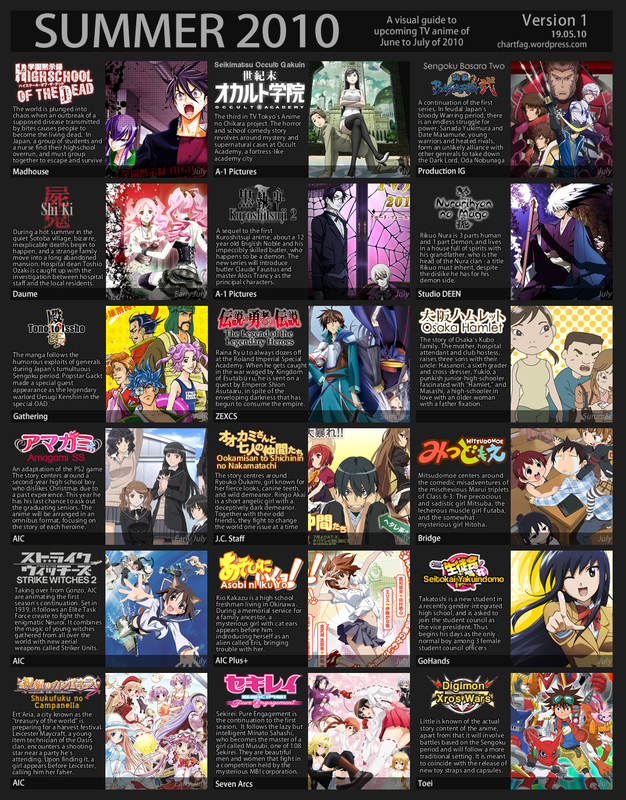 has aired, I’m all set on what I’m watching this season (except that I may or may not be starting Strike Witches 2 later this week if I watch the first season, but that remains to be seen). Courtesy of Chartfag, as usual. Summer’s looking pretty bleak. There doesn’t seem to be much to watch, and Spring has been so damn awesome that I’m definitely going to be disappointed in comparison. I also haven’t really heard of much being hyped for this season, so I’m not expecting a lot. Highschool of the Dead – This one’s been hyped up a good bit. I don’t know much about it, but it looks like it could be pretty good and I hear it’s basically a horror flick in anime form, or something along those lines. I almost feel like I have to check it out. Seikimatsu Occult Academy – The third Anime no Chikara project. I’ve enjoyed the first two and original anime is always welcome. Amagami SS – Believe it or not, literally minutes before studying the chart, I saw this PS2 VN on VNDB and was disappointed that there was no PC version or translation. Good to know there’s going to be an anime adaptation, so I’ll definitely be checking it out now. Ookamisan to Shichinin no Nakamatachi – I’ve had an eye on this since I saw the trailer a while back. Checking it out ’cause it looks nice, but I don’t know anything about the series. I may check out Asobi ni Iku Yo! and Seitokai Yakuindomo if only ’cause the premises don’t sound too boring and I like the promo art in the chart. I just opted to watch these on a whim though and I’ve heard literally nothing about them before now. There are also a lot of sequels I’d watch if I had actually gotten around to the first seasons by now, like Sengoku Basara or Strike Witches. All in due time, I guess. I guess we’ll see how much I end up watching this season. There isn’t exactly a lot to choose from, but I definitely won’t end up watching as much as I am this season. There’s no way I’ll start up 12 new series like I did this season since there are only 13 that aren’t sequels to something I haven’t watched and I know I’m not watching at least a handful of those. Aaaaaanywho… We’ll see, I guess.